Des McGahan and Ross Lewis. 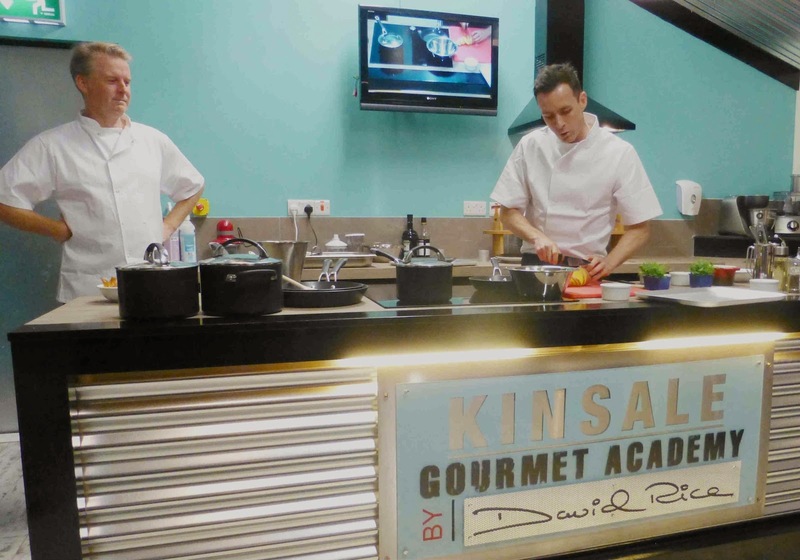 Ross Lewis, the Cork-born Michelin star winning chef and co-owner of Dublin restaurant Chapter One, spoke of his early visits to Kinsale as he launched the spanking new Kinsale Gourmet Academy at Ballinacurra House on Tuesday. Ross has a great admiration for the area and especially for Martin Shanahan of Fishy Fishy. At the Chef’s Table in Chapter One, they often have US visitors and these visitors were regularly asked if they were visiting Kinsale. And the usual answer was: Yes, we are going to Fishy, Fishy. Now Ross asks the visitors if they will visit Kinsale, after visiting Fishy Fishy. Ballinacurra Head Chef David Rice heads up the new purpose built and very well equipped academy. David “missed medicine by about 600 points” and started his culinary career washing potatoes (with an occasional promotion to making sandwiches) in the Blue Haven. Limerick man David eventually worked under Ross at Chapter One. “What that man taught me. Unbelievable!” He obviously taught David a respect for the country’s artisan producers and the Kinsale academy will showcase their work. 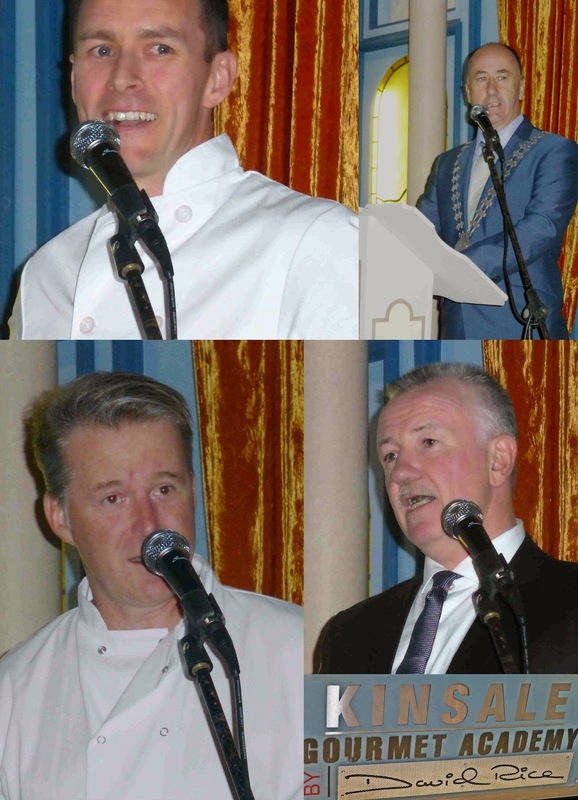 Cork County Mayor Alan Coleman and owner Des McGahan also spoke at the well-attended launch, both with great humour and that trend continued when Ross and David took the mike. And indeed, it was a feature throughout the cookery demonstration that the pair undertook in the academy itself. It was a lovely evening in a magical place. Some beautiful canapes and later there were pizzas from the brick oven and cocktails from the newly opened Cuban Bar. The Cuban Cocktail Lounge has authentic paraphernalia and original objects de art items sourced directly from Cuba. It’s the perfect Rum Shack for Havana Club based Mojitos, Cuba Libras, Daiquiris and more. A large focus for the Academy will be building on Ballinacurra’s reputation for catering for private groups and corporates. Owners Des and Lisa McGahan will work with them to design a bespoke course to suit their needs and objectives, level of capability, and so forth. It will include a teambuilding element, adding in meeting time or other activities. Individuals will also be able to book into scheduled courses which will range in duration from a half day upwards. Classes will be kept small to ensure the students receive the best quality and one-to one tutoring possible. The Academy has been purpose built with the students in mind, 8 double workstations where 16 students can work hands-on. There is also an instructors island with the top-of-the-range induction hob for demonstrations. Ross and David show it's done! 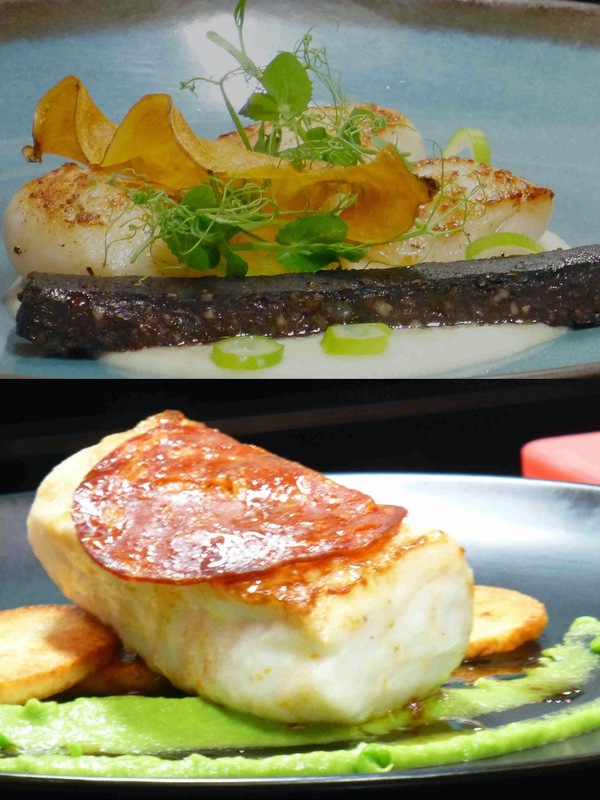 "Ballinacurra House and Kinsale have become synonymous with fabulous food for many years. The new Gourmet Academy will further strengthen Kinsale’s reputation as the ‘culinary’ capital’. It was one the key factors missing in Kinsale’s bid as ‘Foodie Capital of Ireland’ and we feel it’s the final piece of the jigsaw which will further add to the prestige of the town,” said Des. Ballinacurra House, in a rural area on the edge of the town, is set within a walled garden with 10 foot-high stone walls, security gates and 40 acres of woodland and lawns. This elegant country mansion brings back old-world opulence and personal service in a unique and totally private environment. “Our exclusive-use estate allows you the opportunity to share your experiences or special occasion with friends, family or peers in magical ambient surrounds, without compromise.” If you have a corporate event or a family event coming up, why not check it all out here. Just about two weeks earlier, I had attended the opening, by Neven Maguire, of the Dingle Cookery School. 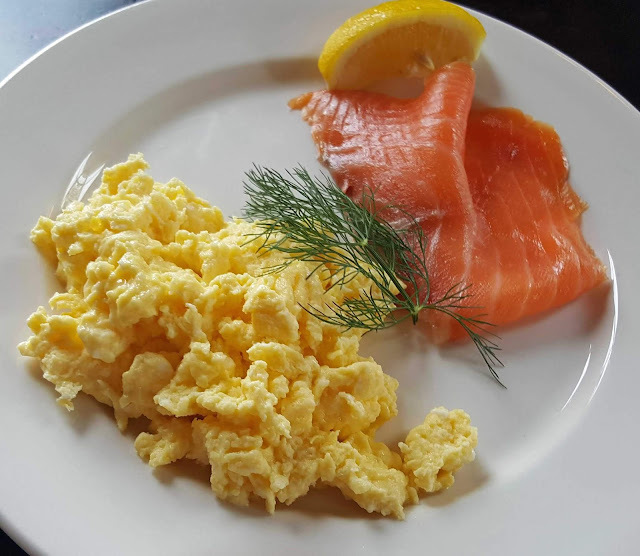 This is another magnificent facility with a team of excellent chefs in charge of a large range of courses, everything from a half day Catch and Cook course to a four week evening course on Ethnic Cookery. And they also have a couple of Pop-Up Restaurant nights scheduled, including one for Halloween. See the Autumn/Winter courses at www.dinglecookeryschool.com.